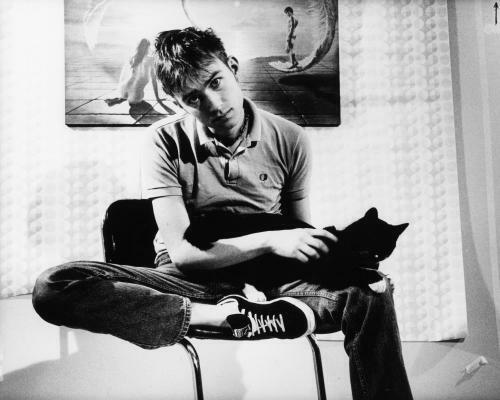 Damon Albarn is a true creative. He's not the type that seems to coast, he is not only driven by the need to create, but by the need to create new things. It's a drive that has led to gigs like an opera, movie soundtracks and a consideration to direct the London 2012 Olympics opening ceremony. But it's never been just about his music output. The latest news out of Camp Albarn is that one of his supergroup projects, Rocket Juice and the Moon, featuring Flea and Tony Allen, are at long last releasing their debut album. For the sake of convenience and keeping it all together, this is a look at all that Albarn has wrought. Blur - At one point, Damon Albarn was just the Blur frontman, and that wasn't so bad. They were a central figure in '90s Britpop as they fought tooth and nail with Oasis over sales dominance. While Americans were getting grungey with Kurt Cobain, Albarn and Blur were creating an especially British sub-genre that didn't cross the ocean until “Song 2,” which some only remember as “woo hoo!” and a consistent presence in action movie trailers/commercials. Gorillaz - Not content to be part of one of the biggest figures in '90s British alternative rock, Albarn worked with cartoonist Jamie Hewlett on Gorillaz, a cartoon band vehicle for Albarn to explore pop and his other genre inclinations. It still stands to this day as his biggest thing ever, which is a tremendous feat coming off of Blur, and you have to wonder if he has an even bigger hit group concept in him. Mali Music - In 2000, Damon Albarn took a trip to Mali and came out with a new band because that's how his mind works. The aptly titled Mali Music is a collaboration with Malian musicians like Afel Bocoum. Anyone that expected something along the lines of world music or folk music was surprised by the electronic ambience and mesmeric style. The Good, The Bad & The Queen - Here's another supergroup that should be right up the alley of any Gorillaz enthusiast. Their music is interesting, eclectic, and often hits on a great beat. Although it features members of The Verve and The Clash, the production by Danger Mouse (another compulsive collaborator) is just as big a feature. Albarn insists that the band has no name, just an album name, but no one's buying into it and just calls them what it says on the sales charts. Rocket Juice and the Moon - The newest thing out of his imagination, Rocket Juice and the Moon haven't even put out an album yet. It's a purely groovy funk outlet that's also made up of Red Hot Chili Peppers bassist Flea and Fela Kuti drummer Tony Allen. If that's not enough overkill, the album is supposed to have a guest spot by Erykah Badu. With that kind of pedigree, working in that genre, the expectations are high. Listen to "Song 2" as performed by Vitamin String Quartet here.